Chas.' original SNES was toast, having contributed much enjoyment over the years, so I donated it to the nerds over at Next Level Video Games in Everett to fiddle with. 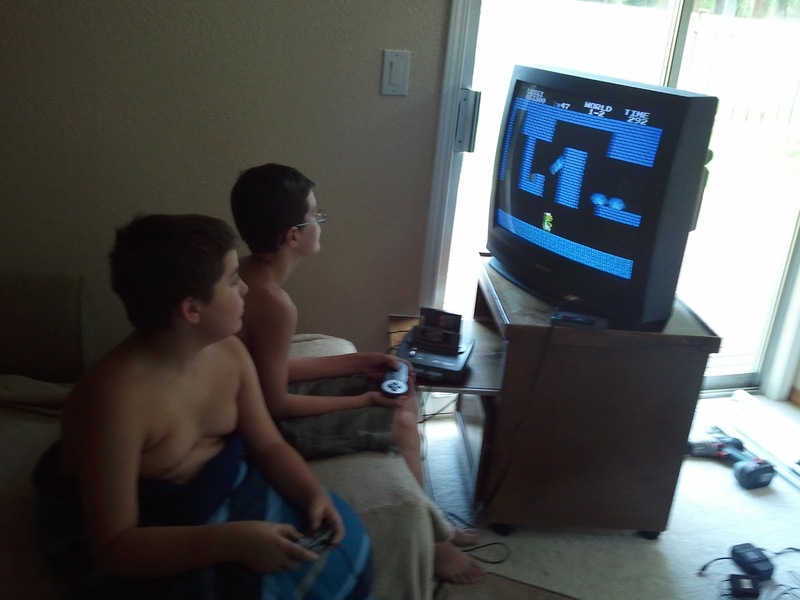 Thanks to the FC Twin, the boys are now able to enjoy the numerous Super Nintendo games that are the real treasure. The machine also plays NES games, so I bought Super Mario Bros. and Hudson Hawk. I've yet to pop in the Hudson Hawk game (the movie was a Chas. favorite), but the boys have been playing the poopie out of the Super Mario Bros. Also, Yoshi's Island and Super Mario World are favorites. Watching them play does my heart good. I have fond memories and enjoy sharing them with the guys.